Have you ever wished your curls were something they aren't already? We've all been there, wishing our curls could be shinier, easier to manage, or healthier. Fortunately, there are things you can do to help your curls out. This includes utilizing various oils. Oils are great for pre pooing, hot oil treatments, and for the L.O.C. method. Here are oils for perfect curls. Give them a try and let us know which worked well for you. This oil is very popular in the natural curl care community because it works that well. There are tons of great reasons to incorporate castor oil into your curl care. These reasons include prevention against breakage by sealing in moisture. It helps curls regrowth and growing length by stimulating blood flow. Many curlies find this particularly helpful at the nape of the neck, or around the hair line where curls are easily damaged. Looking for an oil that can do it all? Coconut oil might just be for you! This oil does great things for curly hair. It can be used directly on the scalp to promote health by limiting dandruff. It infuses dry, damaged curls with moisture. Coconut oil can also help minimize damage or breakage. It helps slow down curl fall as well. It's easy to find, and overall a cheap fix. This lightweight oil is great for curlies with finer hair, as it won't weigh strands down. This oil works very well as a moisturizer for curls that are dry or distressed. This makes it great to use after chemical services. It's loaded with essential vitamins and minerals, so will help infuse curls with needed nutrients. Finally, when massaged into the scalp, it can help stimulate blood flow. 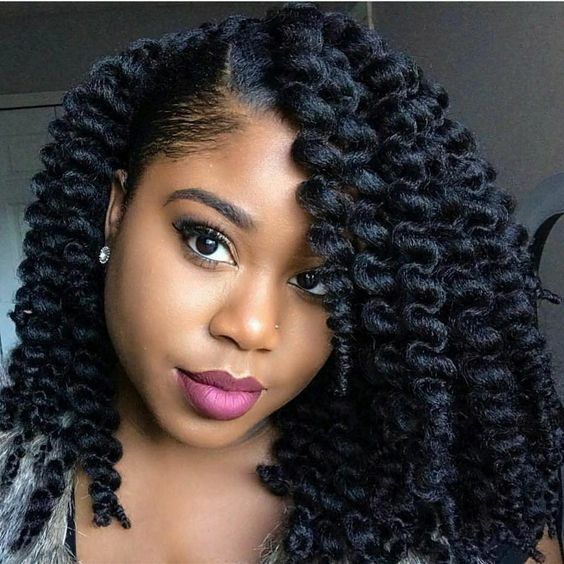 This means your scalp will be healthy, assisting curls in growth.